It’s been reported that single pages of the original Bibles printed by the Gutenberg press have been selling for US$20,000 each. Before the personal computer came into widespread use, people were dependent on huge centralized computers to process their data. 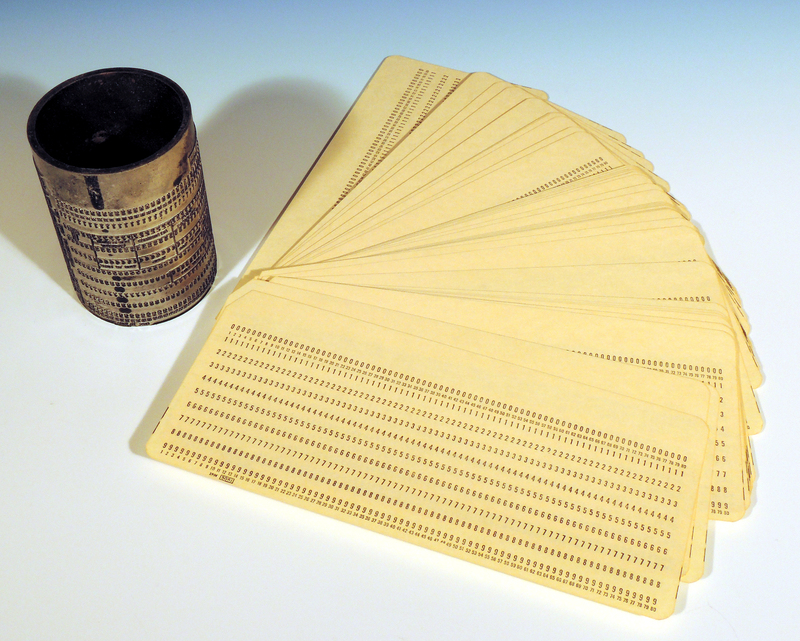 Keypunch cards were widely used as the “floppy disk” of the pre-PC generation, despite the many problems associated with them, because they were the only way to pass reams of data to waiting computers. Keypunch cards therefore rightly belong to the realm of PC pre-history. 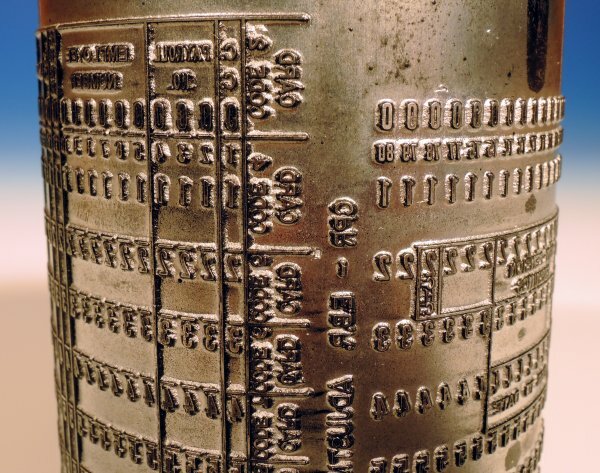 In recognition of this, the IBM museum in New York State has some of the plates on display. 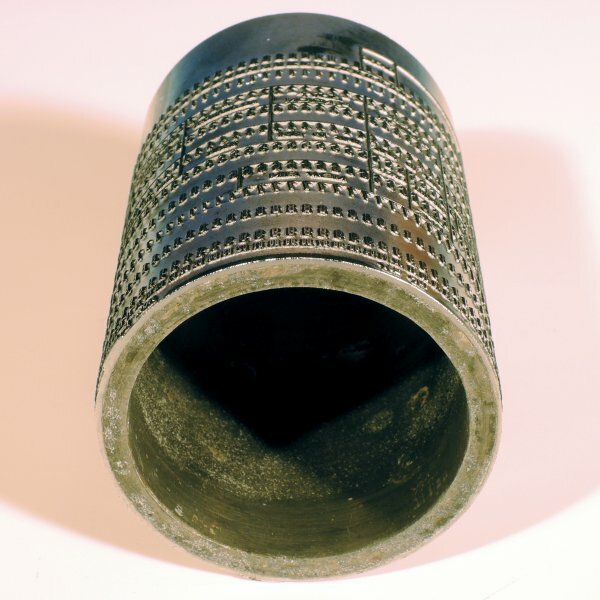 In the mid-1990's, while talking to the successor company to Control Data, I noticed some intricate cylinders sitting on a traffic manager’s desk and asked him about them. He told me the story of the cylinders and mentioned that they were quite a conversation piece - everyone asked about them. He remarked that the company had just discovered they still had the plates around and were preparing to dispose of them. I convinced him to sell them to me. 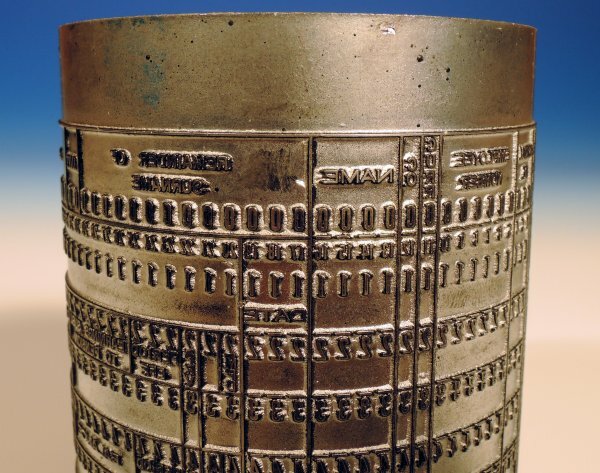 As a result, I have the entire set of master printing plates for the keypunch cards that were such an essential part in first bringing the power of the computer to the mass market. These plates were made from an aluminum-magnesium alloy and then individually etched in England using a photo-engraving process. 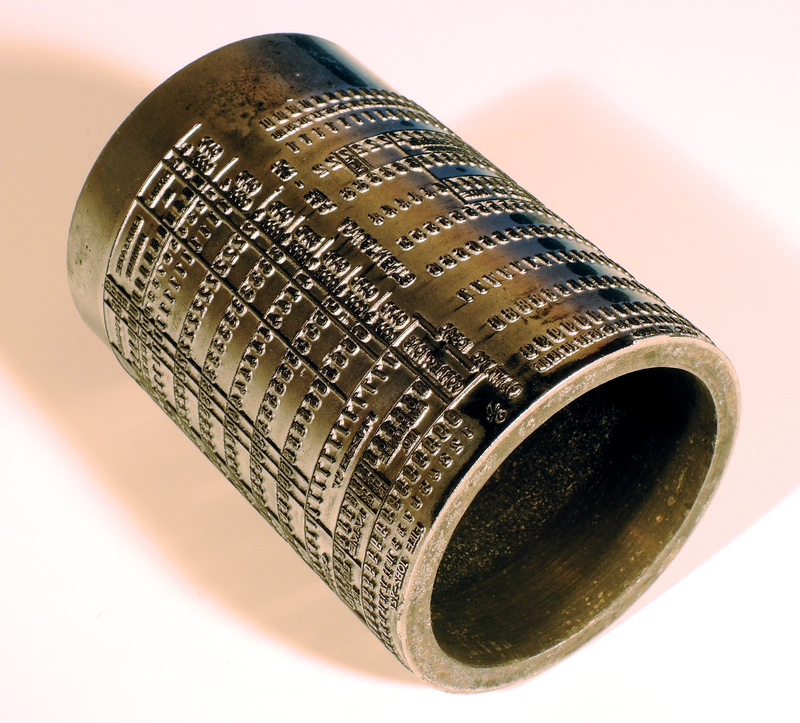 Originally they cost over $300.00 each ( in 1965 dollars). The plates were chrome-plated to add strength. 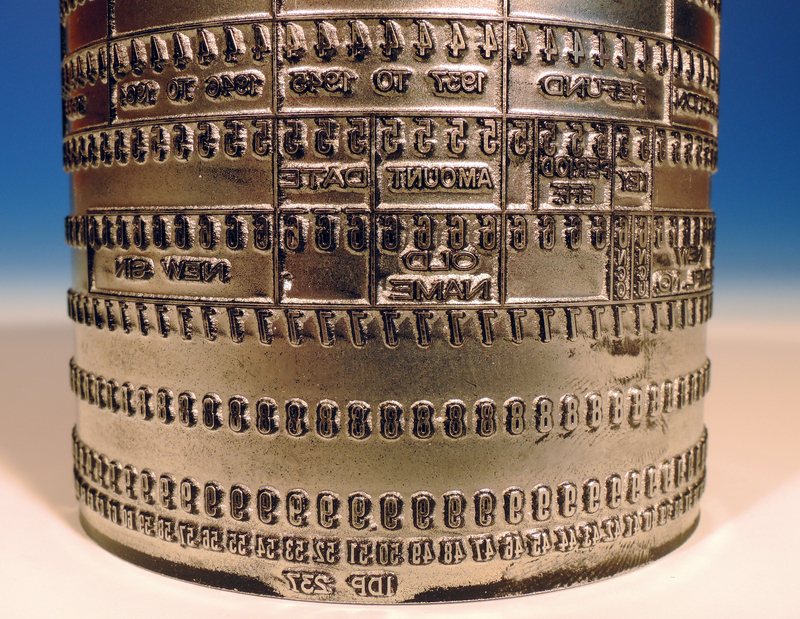 In some of the cases, the plates were then stamped with the platemaker's initial, as shown in the 5th and 7th picture below Yours may NOT have the stamp on it because those are largely sold now. Some of the plates will be in English, some in French and some in both languages. These plates print the standard 80 column format. Most will have the original ink (now dried) used in the printing process in the nooks and crannies of the plate. 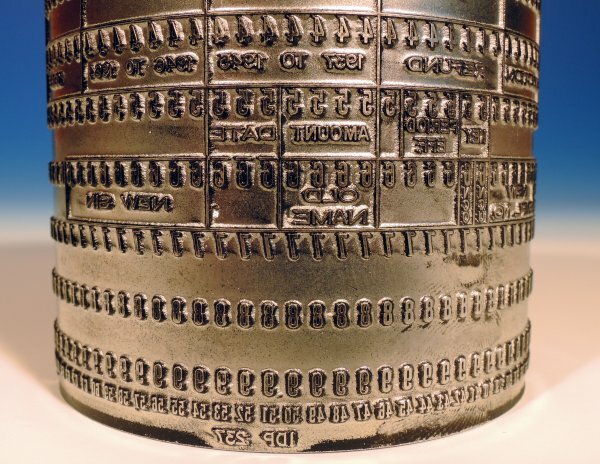 Many of the plates will be unique or at least belong to a small number of that particular plate design and have the plate-maker’s stamp on them. All of the plates will resemble the pictures herein, although yours will not be identical to the one shown. Several computer museums in North America and Switzerland have already made these plates part of their display. 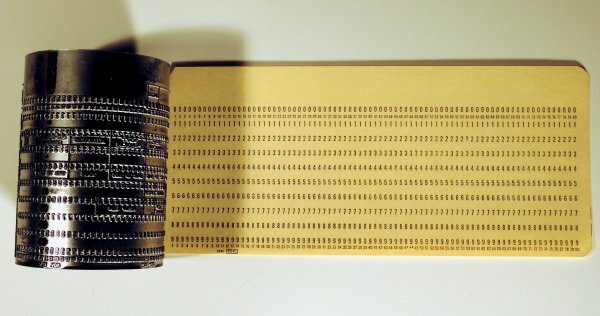 This is an incredible opportunity to own a piece of computer history from the dawn of the information age.